Last week EY2 continued to dig into our first UOI, Inspiring Individuals, striving for self-development and understanding, as well as learning about each other so that we can build a caring and inclusive community. The children completed their self-portraits, and talked about themselves through interviews that will be used to make a book about our class. The book will allow the children to get to know more about each other, while each child will also have a page to celebrate their own identity. 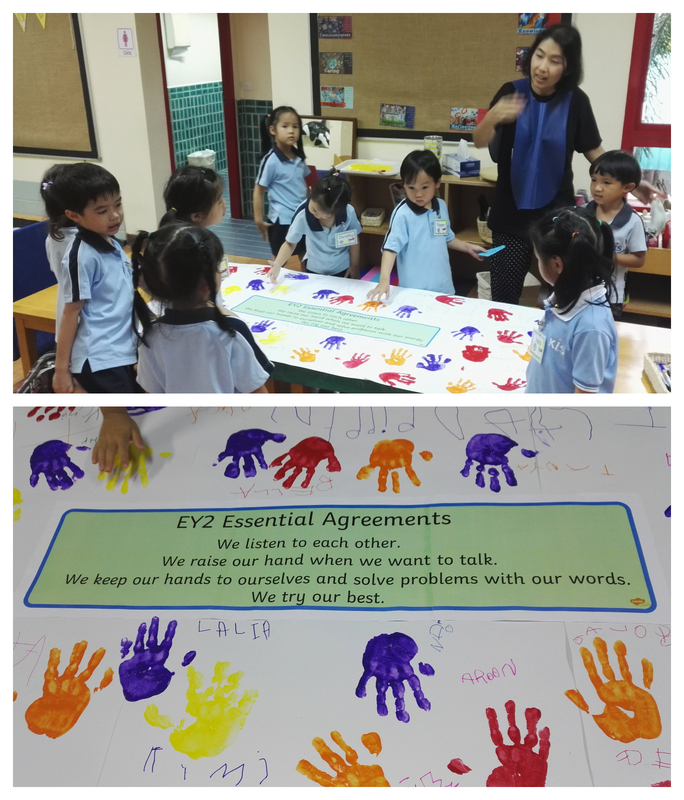 As a group, we came up with an EY2 Essential Agreement, by asking the children what promises we should make in order to be sure that our class is a safe and happy place to learn. 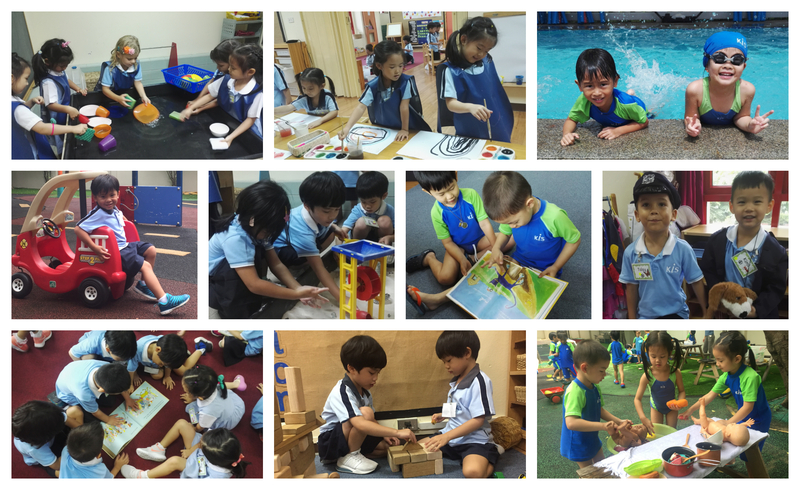 The children shared many wonderful ideas about how to take care of each other and play nicely, which we narrowed down to a few simple statements representing the most essential ideas. We agreed to listen to each other, to solve problems with words while keeping hands to ourselves, and to always try our best. 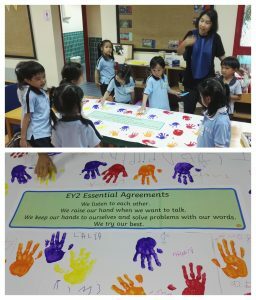 Following our discussion, all class members signed the agreement with their name and a hand print, cementing their promise to the group. A big thank you to all of the parents who have already sent us their family photos. Throughout this week, the children and teachers will be invited to share their photos with the rest of the group, to talk about themselves, their families, and their home lives, and to ask each other questions. If you have not yet sent in a photo, please do so as soon as possible. Please involve your child in the choosing the photo, as they will be more motivated to share with the group if the photo is meaningful for them! 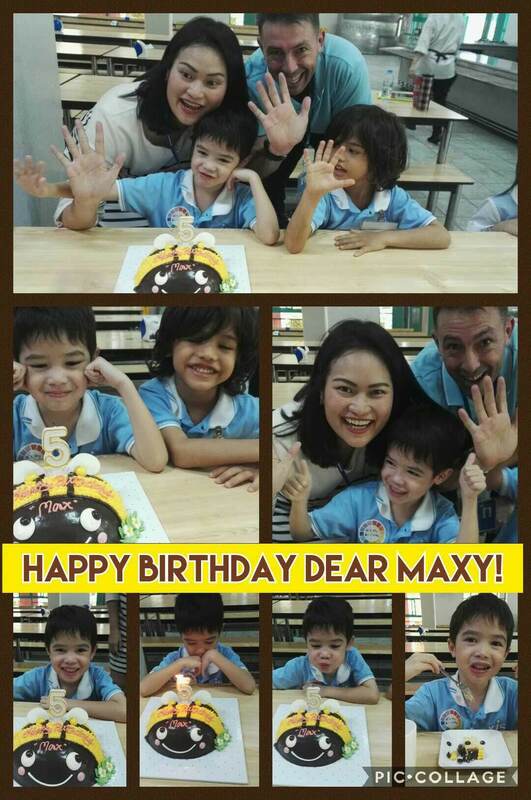 Last week we celebrated Maxy’s 5th birthday. Thanks so much to Mom and Dad for joining us to make the day special, and for the delicious cake. 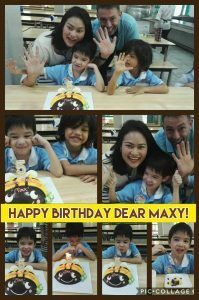 Happy 5th Birthday, Maxy! Parents will be invited to visit the classroom for a gathering of our EY2 community, with an information session about the program and an opportunity to connect with other parents.